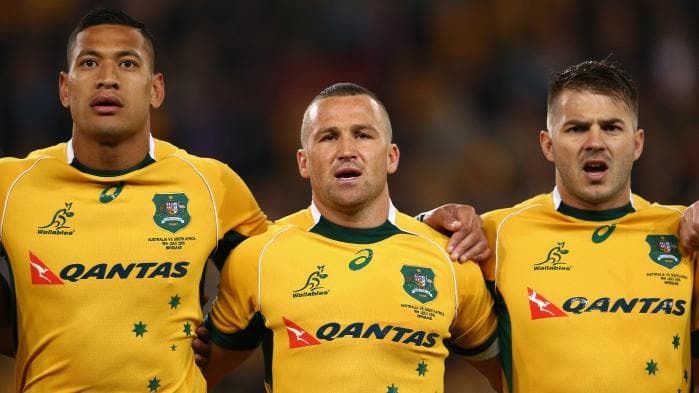 Former Wallaby Drew Mitchell has hit out at Israel Folau and his decision to appeal Rugby Australia’s termination of his contract. Folau was given 48 hours to appeal the governing body’s decision to rip up his lucrative four-year contract, and has opted to do so despite previously stating he would “walk away” from his contract if his situation became “untenable”. Mitchell has pointed out that the fact that Rugby Australia have made it quite clear they wish to terminate Folau’s contract – shows his position has become untenable. Along with homosexuals, Folau also listed liars in his controversial post as people who are destined for “hell” unless they “repent”. When words & actions aren’t aligned…. The fact @RugbyAU intend to terminate @IzzyFolau contract would suggest it’s become untenable.